Located in the heart of Sydney's Nth west. Close to Olympic Park State Sports Centre. Transportation at door. Situated on golf course. 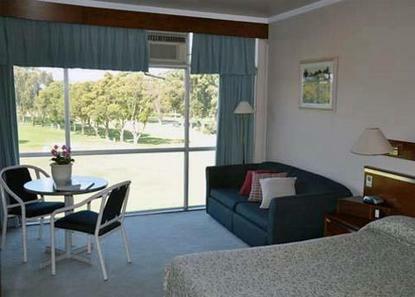 All rooms with a golf course view. Reception Hours 7:30 am - 21:30 pm. AU Star Rating 3.5 Front Desk Hours: 7am-9:30pm. If arriving outside of these hours, please contact hotel for arrangements. Children charged as adults at this hotel. QT,Q and TTT can be interconnecting rooms if requested and available.